Class of 2016 student, Maddie has all the makings of success. Smart, beautiful, athletic and, perhaps the trait she is most proud her, hard working. Yes, Maddie describes her work ethic as her greatest trait. In addition to working hard in school and in sports, Maddie volunteers at St. Francis' Children Center working hard to make a difference in the community. She is certainly on the right path to make a difference well beyond the community. During Maddie's senior year, she will continue to work hard and unwavering strength and optimize. I was so thrilled to work with Maddie and capture her true personality and style for her senior pictures. 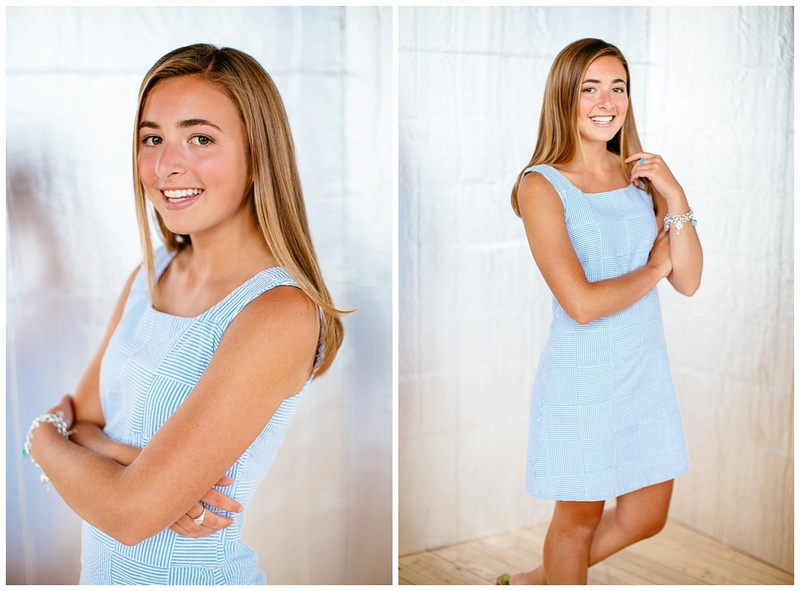 Maddie defines her personal style as preppy so we started with some gorgeous natural-light portraits in the Chrissy Rose Photography Studio in the Historic Third Ward. We eventually ventured over to Pier Wisconsin for some lakeside beauty! Here are some of my favorites from our session together. Attention all Nicolet High School, class of 2016 graduates, MAddie is a senior model for Chrissy Rose Photography and has tons of information to share about how you can get senior pictures that capture the real you with Chrissy Rose Photography.